Jim Thorne of Carmel spends plenty of time on the roads of Maine, and often posts Facebook photos from spots he loves in Aroostook County. But Thorne outdid himself Tuesday, when he posted a short video showing a massive migration of Canada geese as hundreds — perhaps thousands — of birds converged on a pond in the northern Maine town of Limestone. 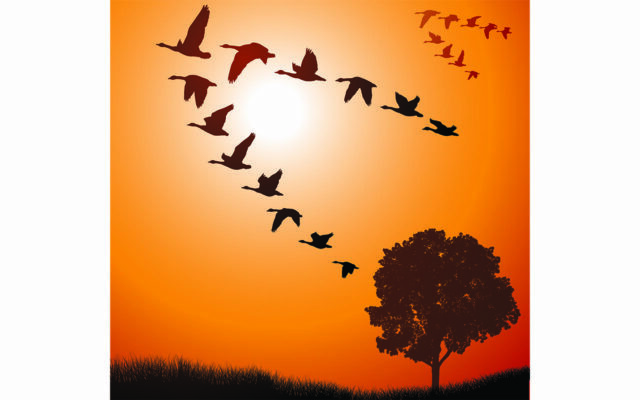 Thorne said he’d never seen a migration of geese like that — “Only in my dreams,” he wrote — but said it wasn’t the only wave of geese that arrived that day. The arrival of the birds was likely appreciated by Aroostook County goose hunters, as the regular season on Canada geese opened Oct. 1 and runs through Dec. 8. To read the rest of “Thousands of migrating geese make a layover on an Aroostook County pond,” an article by contributing Bangor Daily News staff writer John Holyoke, please follow this link to the BDN online.